Diego Obregon and his sounds of the Pacific Coast of Colombia are back to Terraza 7. Hear the Afro-Colombian traditions by the great Marimba the Chonta player, singer, composer/arranger, percussionist and instrument maker Diego Obregón with his mystical and majestic music. Diego Obregon was born in Guapi August 1st February 1971. As a teenager, he started playing drums and cununo with Silvino Mina, a marimbero well known in the region, which takes special interest in the young. Obregon soon joined the group. Later he became part of the folk group Guapi representative.. At age 24 he traveled to La Tola, Nariño where he learned to build marimbas and then to sound. After a year of experience traveling to the city of Cali where he manage his workshop of building marimbas, becoming one of the most renowned manufacturers of marimbas in the country, with new techniques and building materials. Throughout his career he has been playing with bands like Diego, Real Black, Los Bogas del Pacifico, Grupo Naidy, La Cumbiamba Eneye among others. He currently resides in New York and is dedicated to developing his new project, the Group Chonta, as his the founder and director. 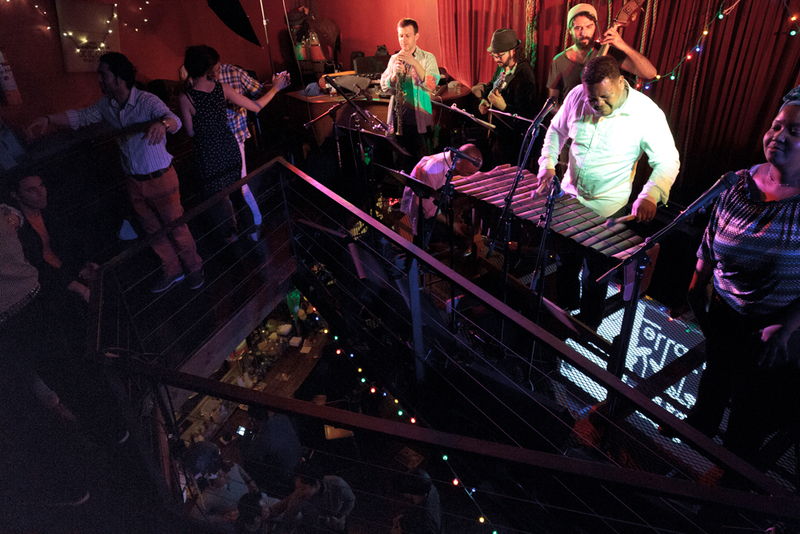 Diego Obregon & Grupo Chonta at Terraza 7 on Saturday March 7th, 2015 at 10:30 pm. No Replies to "DIEGO OBREGON AND GRUPO CHONTA"